This week, our Editor’s Pick are an education in how to live a rich life. Like pizza? We’ve got a top pizza oven that can sit alongside your kettle and toaster at home. A fan of whisky? It’s time to invest in one of the best annual releases from Macallan. Looking forward to skiing? 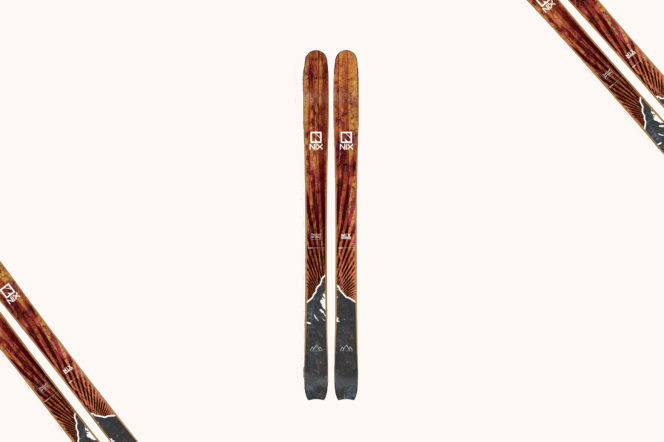 Get yourself down to London to get your own bespoke pair of wooden skis made. From sumptuous knitwear to a beautiful diving watch, we’ve got all the gear, accessories and style you need to add a shot of luxury to your life. So sit back, treat yourself and read on. 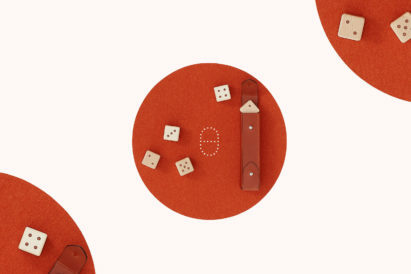 If you’re a fan of bold colours, you’re undoubtedly already a fan of New & Lingwood. 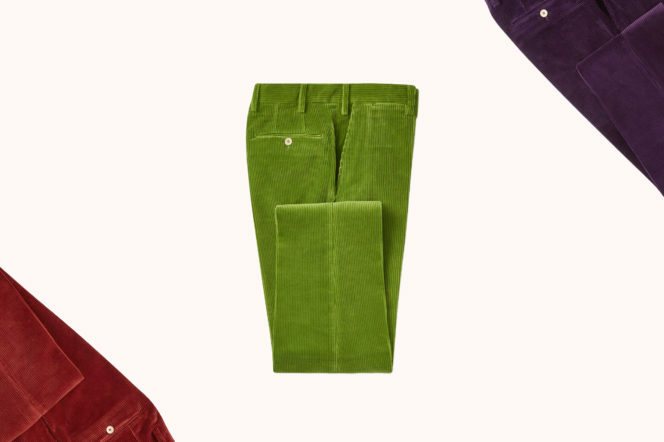 And, if you’re keeping track of trends, then you’re already slipping into a pair of corduroy trousers. But bring the two together? Perfect fashion fusion. Tailored from a luxurious, heavier weight Italian cord, these are available in lime green, bright orange and bold blue, among other colours. Ever wanted a coffee table book that’ll tell you exactly which cocktail you should pair with what classic album? 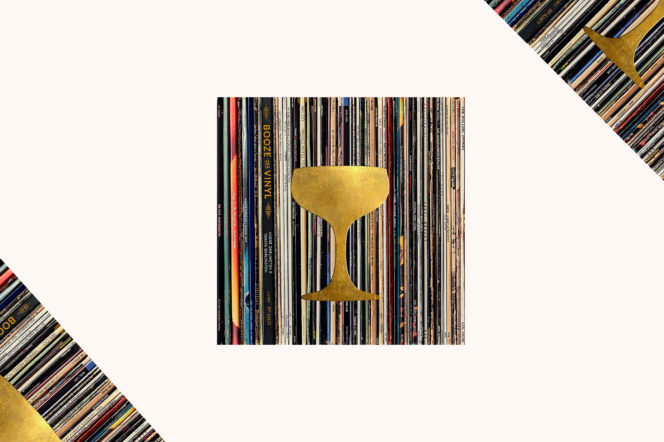 Good, because here comes Booze & Vinyl, a decadently-designed compendium of exactly that. From Born To Run and Pet Sounds, to Purple Rain and Sgt. Pepper’s Lonely Hearts Club, you’ll get a choice of two cocktails — “Side A” and “Side B” — to complement the music’s mood. For their annual M edition, Macallan always pulls out the stops. This year, you should be too — as their 2017 Edition is the best yet. 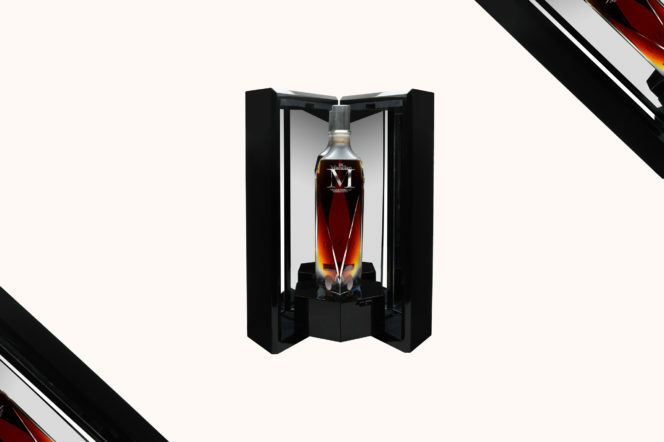 In a striking Lalique decanter, designed to reflect the complex structure of the whisky inside, this unique single malt is deeper, richer, and smokier than what one would associate with Macallan — and available to buy now from The Whisky Exchange. 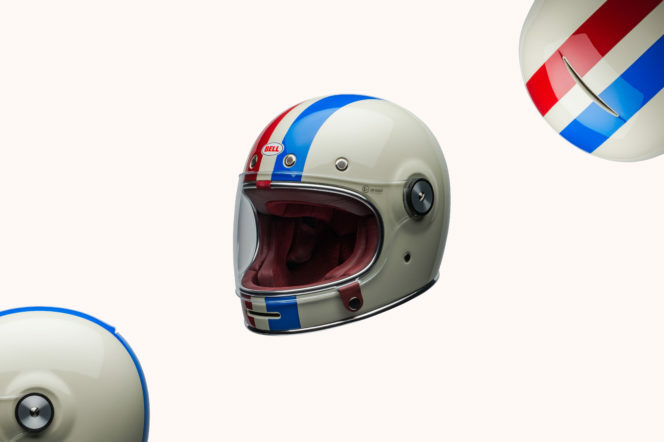 This week, helmet manufacturers Bell just unveiled their latest range of retro helmets. There’s some gems in there, but our pick has to be the Bullitt Command helmet. 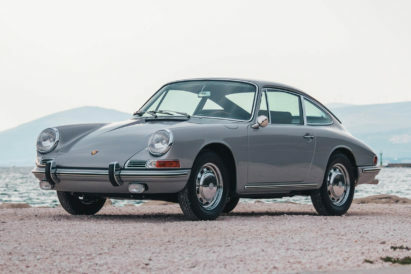 Named after the brash detective, played by iconic actor and motorsport enthusiast Steve McQueen in the cult classic Bullitt, the Bell Bullitt is as much an exercise in design as it is in rider safety — and who doesn’t love those vintage vibes? Skiing is a personal pastime. With time to push yourself and space to think, it’s the perfect excuse to splash out and invest in the best gear. So why not head to Nix Snow Co. in London, where the expert craftsmen will ask you your skiing level and design preferences to create your very own, bespoke skis or snowboard. There’s nothing like a good solid skillet. For everything from your sirloin steak to your padron peppers, it comes second to none in cookware. 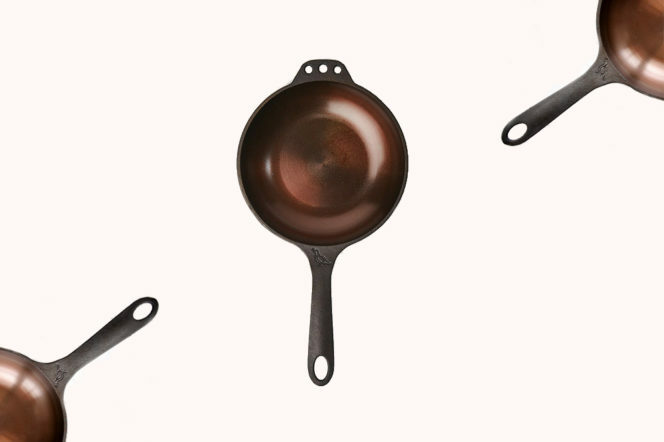 This smaller 8-inch skillet from Smithey features a smooth polished finish that, when seasoned, is naturally non-stick. It takes some time to nurture and create the perfect pan — but, then again, all good things do. 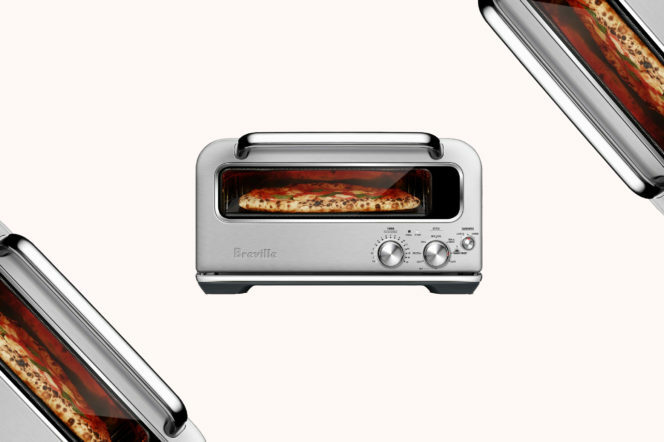 The first domestic countertop oven to hit 750°F and cook an authentic wood fired style pizza in 2 minutes, this incredible piece of innovation manages to replicate the three types of heat generated by a brick oven — conductive, radiant and convective. That means your pizza will get the signature crust, perfectly charred base and gently cooked topping of a genuine Neapolitan pizza. 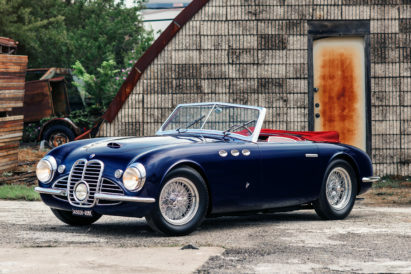 Molto bene! On the bike leg of any triathlon, speed and efficiency win the game. Which is why your kit must be perfectly-suited to the job at hand. 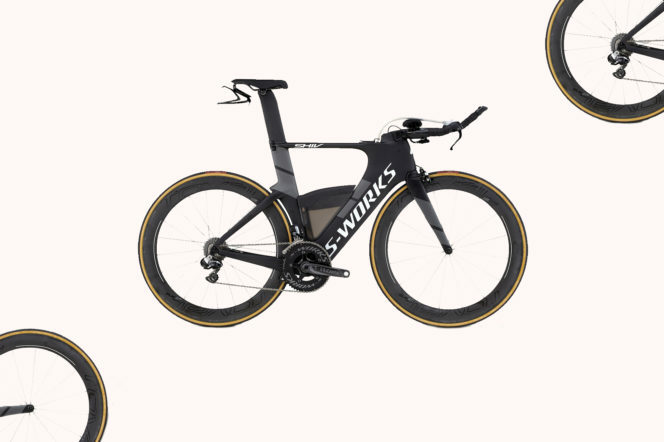 This S-Works Shiv, from Specialized, is a bike created explicitly for triathletes. And, with a carbon frame, integrated aero bars, a Sitero saddle and integrated Fuelselage hydration system for when you get thirsty, it’s a PB-setting machine straight out of the box. 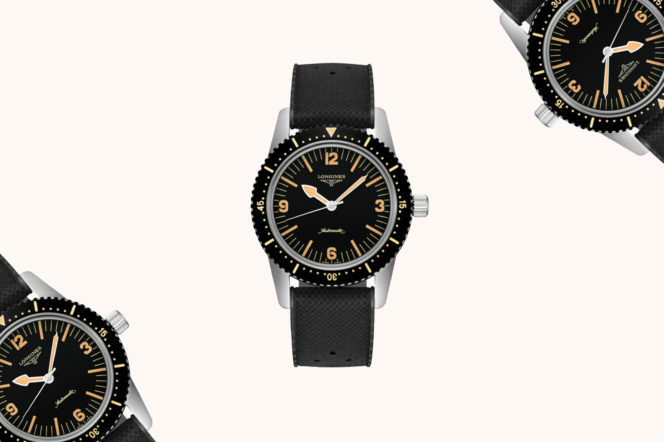 When Longines first launches their Skin Diver — the brand’s first diving watch — in 1969, it was a hit around the world. Today, it is resurfacing. With the same classic looks, but with the movement benefitting from modern watchmaking expertise, the L888 calibre is protected up to 300 metres by a screwed-in crown and back. 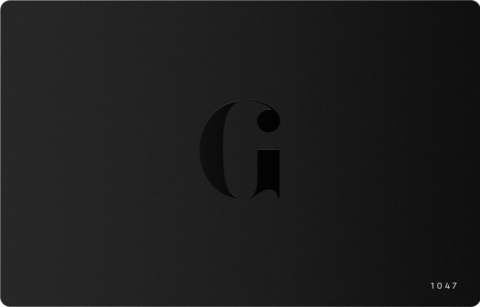 But it’s the retro look that has us most excited: A grained black dial, Arabic numerals and a pleasingly vintage black criss-crossed rubber strap. Originally developed to keep fisherman warm, we’re more than happy to adopt this style now that the temperature is dropping. From Ralph Lauren’s Purple Label, it’s made from a really soft, substantial cashmere and mohair-blend and cut to fit comfortably. 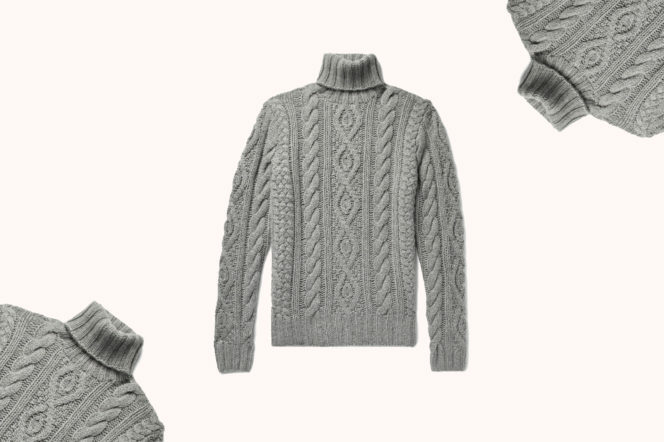 It’s a jumper to get lost in — and a classic autumn look.